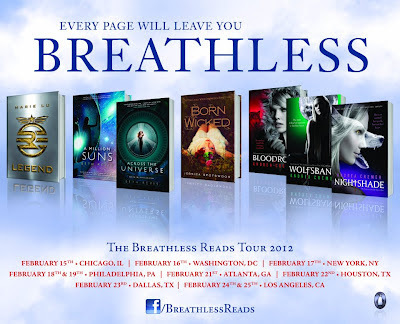 The Breathless Reads Tour stops at my indie bookstore next week and I've only read one book from the four featured authors that will be there, I know I'm horrible! The one book that I have read is Nightshade, which I absolutely loved so I have no idea why I haven't read the other two books in the series yet. I was lucky enough to meet Andrea Cremer, the author of the Nightshade Trilogy, last year and she is seriously one of the sweetest people I've ever met! I can't wait to see Andrea and the rest of the authors next Tuesday! 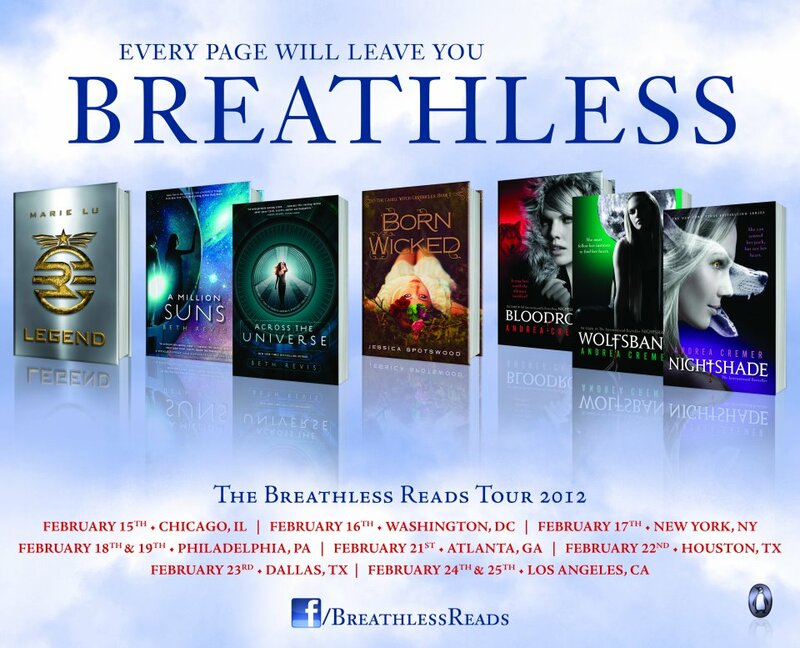 Are you going to a stop on The Breathless Reads Tour? That's amazing !!! I've only read Nightshade and Wolfsbane .. but I'm dying to read the other books !! You're so lucky to have all these amazing authors stoppin by your bookstore .. I wish we had more YA authors coming to France !! I'm hoping you'll have an awesome time ther Katie .. Looking forward to see all your pretty books signed !! Wait...which stop are you going to? I'm going to the one on Wed. 2/15 at Anderson's! I can't wait! I love signings and tour stops! Hey Jacinda! OMG YES! I'll be at that one! It'll be so fun to meet you!